If you’re thinking about setting up a grow room or grow space using high-intensity discharge lamps, then you may already know that you need the best grow light ballast. Without a ballast for your HID lights, they won’t turn on. The old school electromagnetic ballasts have slowly become obsolete as they have been replaced with the newer electronic ballasts. It’s crucial that you know a few key details before you buy a ballast. You will need a ballast for any traditional tube fluorescent bulb and all high intensity (HI) bulbs. Metal Halide (MH), Ceramic Metal Halide (CMH, CDM), High-Pressure Sodium (HPS) and Combination MH and HPS all need a ballast. The ballast will provide power to the lamp and preventing HID lights from drawing too much current. Compact fluorescent grow lights come with ballasts integrated into their circuitry, so if you use these lamps, you don’t need to purchase an external ballast. LEDs used for growing do not require ballasts. Quality and reliability are as important as the power requirements for your bulbs when selecting a ballast. Grow rooms are wet and hot so when dealing with electrical devices a low priced device with a questionable quality is not recommended. It can be a challenge to find the right equipment whether you are a beginner or an established grower’s trying to replace or upgrade your system. Below we have gathered some vital information and chosen a few of our top recommendations for the best grow light ballasts you can count on for your indoor growing setup. 5 What Makes Up The Best Grow Light Ballast? 6.1 Can I put two lights on one ballast? 6.2 Which type of HID bulb should I get? 6.3 Which are better LEDs or HID lights? If you’re looking for a durable and reliable electronic ballast, then the Hydrofarm Phantom is an excellent choice. This model has a dimmable feature with three modes. The push button controls are responsive and easy to use. You won’t hear a thing from this Phantom because it is entirely silent. It is the only ballast we found designed for vertical use which means it stays cool and takes up less space. 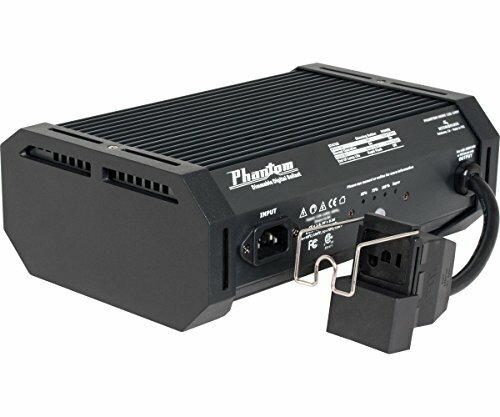 You can get the Phantom in 600 watts and 1000 watt models that fit most HID lights. The device comes with a universal reflector adaptor that should fit most bulbs. It has a sturdy and long 8-foot cord compatible with 120-volt wall sockets, but if you need a 240-volt cord, the Hydrofarm Phantom will be able to handle it. The Hydrofarm ballast includes a 5-year warranty on the device. When you feel it, you can tell why they cover the machine for so long. It feels indestructible with a sturdy casing. Because the Phantom ballast cools itself without a fan, there are no moving parts to break. You may think that would make it run hot, but it stays cool. Overall this is an excellent buy for anyone looking for ballast for their indoor growing. The only drawback is that it is a little pricier than some others in its class. could be quicker according to some owners. Here is a true digital ballast. The Phantom II from Phantom has a high precision microprocessor to help you keep your set up running smoothly. With it’s Smart Alert Technology that utilizes multiple status codes it really is a “smart” digital ballast. This device is ultra quiet, so you won’t have any problems with noise if you have your grow room inside the house. The Phantom II is one of the most energy-efficient ballasts on the market. You can choose between 600W and 1000W, and it comes with a Universal Reflector Adapter that can accommodate most lamp cords. Like most ballasts, this unit offers protection in case of surges and fluctuations, but it also has a built-in hot restrike programming to protect your bulbs. The Phantom II has four dimming options 60, 75, and 100 percent as well as super mode. This ballast has no fan, but it doesn’t run hot. This ballast really does it all it is 120 and 240 volt capable as well as being able to run off a generator. It can run Metal Halide (MH) and High-Pressure Sodium (HPS) bulbs and will indicate you when the lamp is at the end of its life. That means there is no more need to guess if the bulb is dimming! The company has a three-year warranty for this model and based on feel and performance you should never need to use it. The only drawback to having a real digital ballast is that the smart features can be a little tricky to get used to. It’s a “smart” device Compatible Quiet Runs cool Smart alert for your bulb The interface can take some getting used to. If you are dead set on having the tried and true electromagnetic ballast then here it is. This is our recommendation for a quieter and top quality magnet device. 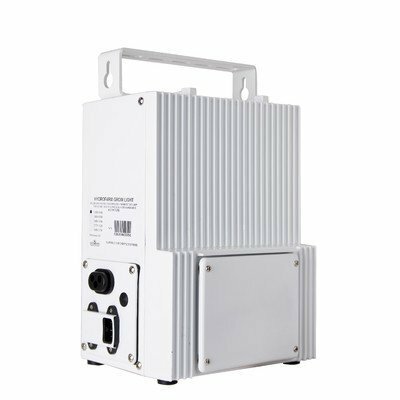 The Powerhouse MH ballast is a reliable and durable machine. It has an all-aluminum exterior. It also features an offset high/low component orientation, so it runs quieter and cooler than most magnetic ballasts. This ballast comes only in a 400w model so keep that in mind when shopping for a bulb. As a magnet ballast, it has a remarkably long life expectancy. Hydrofarms offers an eight-year warranty on this machine so you won’t have to worry about it breaking. It is a rugged and durable ballast meant to last decades. This machine is 120v and 240v compatible, but you will have to purchase a 240-volt power cord for it. The machine is heavy and a little uglier than the others on our list. Although it is quieter than most magnetic ballasts, it is still louder than the other two suggestions on our list. If you have an indoor set up in a separate building of a noise-proof room, this could be a good choice for you. Whether you are buying from our list or searching for another model of ballasts, we encourage you to keep a few things in mind. 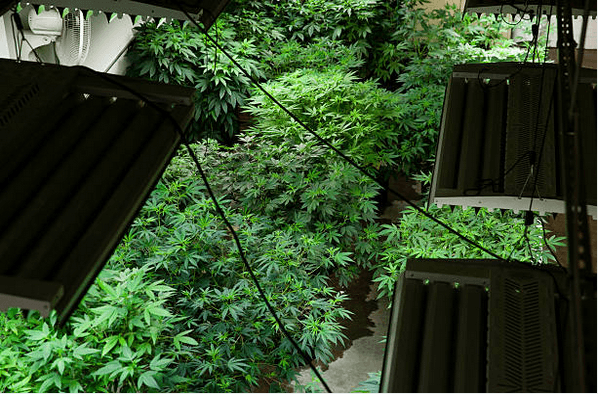 Below we offer our advice so that you may find the right choice for your indoor grow setup. Probably the most crucial aspect to consider in buying a ballast is compatibility. The ballast you choose has to match the bulb you want and vise versa. Each lamp has a required wattage and energy input. If you select the wrong pairing, you will end up blowing your bulbs too fast. We recommend choosing your bulb then finding a ballast to match it. Or you can buy a kit. Price can be an essential aspect of buying any new machine. You should be paying attention to how long the ballast lasts, and it’s reliability. Cheaper devices may save you money today but cost you more in the future. They may break quickly. Magnetic ballasts are more economical to buy but require more to run because they are less energy efficiency. Electric ballast may save you more money in the long run. Heat can be a big problem for magnetic ballasts. Grow rooms using HID lights are going to be hot enough without adding extra heat to the mix. If you are growing in a small space, you may need to worry about heat as much as large indoor growing spaces. If you don’t want to invest in a cooling system like fans you may want to look at electric ballasts. Noise may not seem like a big problem for most people looking into buying ballasts for a growing set up but trust us it can be. If you want to have multiple bulbs then you will need multiple ballasts. The noise can really start to add up. If the sound is a concern for you, then you’ll probably want to get electronic ballast for your lamps. Electric ballasts do not buzz or whine, and some don’t even need fans. Making they are whisper quiet. Some magnetic ballasts can be quieter than others, so if you have one or two, it won’t be as big of a deal. One huge advantage to the electronic ballasts is that they are dimmable. Magnetic ballasts can’t. Here’s the thing; when your plants are little, bright light can hurt them: think winter sun vs. summer sun. You can easily bypass this problem if you want a magnetic ballast by using CFLs or other fluorescent bulbs in the early stages then switching to your HID lights when the plants mature a little. Keep in mind that electronic ballasts also usually have an overdrive function for maximum output in the last stages of plant development. This can be a massive plus for electronic ballasts. Each type of bulb offers different colors and light intensity. Depending on what you want to grow you may not need to invest in a ballast or High-intensity bulbs. LEDs and compact fluorescents can work very well for you in smaller spaces and with some plants. But for the best results in growing vegetables or large scale growing HID bulbs are still highly recommended. Below you will find information on each bulb type and its benefits and restrictions. For these bulbs, you will require a ballast to turn on and control your lamps. Fluorescent bulbs used to dominate the market but now HID lights are the most popular option and for a good reason. HID lights have high lumen-per-watt efficiency. There are many types of HID lamps on the market today, and they all offer different benefits. These lamps can produce a color spectrum similar to the sun giving your indoor grown plants the very best light to thrive. These bulbs run hot so a fan may be needed to cool down your grow space. Each lamp has a specific voltage requirement so when purchasing ballasts and bulbs; it is essential not to mix and match. If your lamp doesn’t match your ballast in voltage, it could cause your bulbs to blow quickly. Fluorescents are another favorite type of growing lights. They come in two different types high-output fluorescents and CFLs. Fluorescent lights are not as intense HID lights and are best at growing herbs and vegetables. Fluorescent lights for growing are sold in color temperatures from 2700 K to 10,000 K.
These bulbs are not as well suited for large plants because the light they emit won’t penetrate as deeply as High-Intensity Discharge lamps. If you are looking for lights for a smaller grow room or growing herbs fluorescent may be a good choice. This type of fluorescent light requires a ballast to start them up. These ballasts are a little different than the ballasts of the HID bulbs. Some High Output fluorescent bulbs come with a ballast housed inside the light while others require an external device. These lights are great for starting seedlings inside or growing smaller plants. You have to bring the lamp and its fixture much closer to the plants than with the HID bulbs. One benefit of Fluorescents is that they have a length of up to 20,000 hours. These bulbs are the kind you probably use in your home. They have a remarkably long life expectancy and use less electricity. CFLs come with ballast in the light so no need to worry about purchasing one. These bulbs are only suited for very small growing or for starting seeds. If you want anything on a large scale or want to grow any hardy plants, then these lights won’t work. The new kid on the block is LEDs; these lights do not require a ballast to operate; instead, they use a driver. LEDs are space saving and run much cooler than other grow lights. They offer an excellent amount of light without using as much energy as other kinds of grow lights. LEDs have a life expectancy of 50,000 to 100,000 hours making them the longest lasting bulbs for growing. You can switch the color of the LED lights throughout the growing stages to match what light your plants prefer in that stage of development. These lights are new to the indoor gardening world and have had some promising results for plants of any size and variety. What Makes Up The Best Grow Light Ballast? There are two distinct categories of ballasts; electric and electromagnetic. 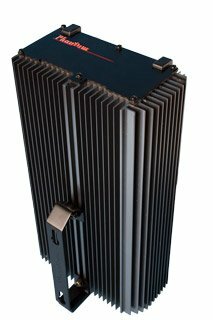 Magnetic ballasts are the original ballast, and the electronic version has been slowly taking over the market for the last decade or so. When you the term digital ballast it is referring to an electric ballasts. Many of the ballasts claiming to be digital are not. An actual digital ballast should have a microprocessor in it most do not. Magnetic ballasts use electromagnetic energy. Inside the metal or plastic housing, there is a spool of wire wrapped around steel. These ballasts have fallen out of fashion due to their bulkiness, and their tendency to create a lot of extra heat. They also make a lot more noise than electric ballast. Although they are less popular, some people still prefer them because they will last for years and can deal with harsh weather. An electronic ballast uses semiconductors and microchips to provide the high voltage required to light an HID lamp. These devices have a more modern look than the magnetic versions, and they are more energy efficient. They are smaller, lighter weight and run much cooler giving them an edge over the electromagnetic ballasts. The biggest drawback of these ballasts is that you have to be very careful to match the voltage of the device to that of the bulb. Can I put two lights on one ballast? The short answer: No. The long answer: No and here’s why it’s not a good idea. While technically possible it requires a real understanding of electricity and mechanics. We encourage you not to go down that path. It can be dangerous and put your equipment at risk. Which type of HID bulb should I get? We recommend Metal Halide (MH) and High-Pressure Sodium (HPS) bulbs for your plants. They are the top performers for large crop tails and healthy plants. Which are better LEDs or HID lights? LEDs can be an expensive investment. They seem to be performing remarkably well but being new they cost significantly more. HIDs may take more electricity, but on a large scale project, they are more economical for now. The world of ballasts may seem overwhelming at times but with a little know-how, you should be able to navigate your way to a prosperous indoor growing setup. If you ready to buy a ballast we recommend the Hydrofarm Phantom. It is such a reliable and efficient machine with a great warranty you are sure to be happy with it. The Phantom II is a very cool gadget, and it will also make you very happy just make sure you are ready to take on its smart capabilities. If you really want a magnetic ballast don’t worry we understand. The Hydrofarm powerhouse MH will do a great job and last for years and years.